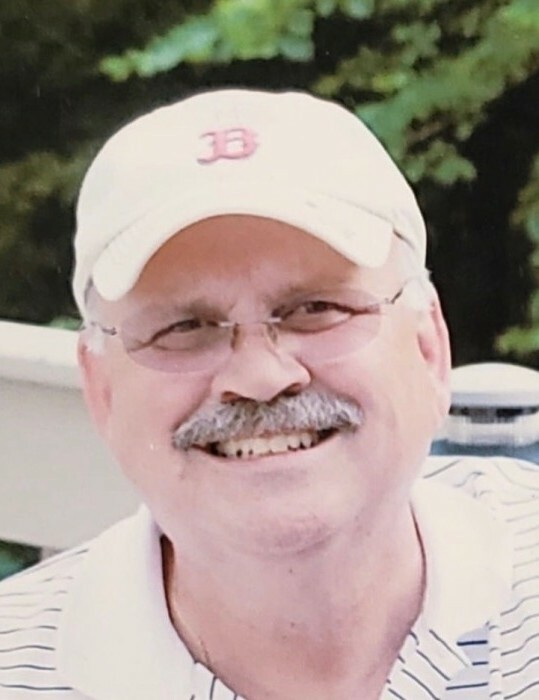 David R. "Dave" Bourgoin, 60 years young, of Lebanon, loving husband of Nell (Ramey of Manchester) Bourgoin, passed away peacefully on Friday, April 5, 2019. Born April 30, 1958 in Madawaska, ME, he was the son of Richard Bourgoin of Madawaska and the late Jeannette (Deschaine) Bourgoin. In his younger years, Dave was a champion athlete, recognized numerous times for his athletic prowess. He was FAST! In his high school and college days, Dave held the record for running the fastest mile in the state of Maine. He was equally accomplished as a soccer goalie and a ruthless rebounder, sinking three's on the basketball court. As a dad, Dave was often called upon to coach Erika's and Chrissy's sports teams as they grew up. He was beloved by many of his players who learned lifelong lessons by Dave's strong character, his commitment to excellence and his genuine love for each of them. By profession, he was a talented carpenter and tradesman. Also, Dave thoroughly enjoyed teaching his craft to students of all of ages and at the community adult education program. In addition to his cherished Nell, wife of 32 years, he leaves their two daughters, Erika (fiancé, Chad Stoddard) of Colchester and Christine "Chrissy" of Lebanon; seven brothers, Jeff (Mado), Rick (Gail), Mike (Pat), Pete, Larry, Shawn (Lisa) and John (Marc); a sister, Karen Chessie; and numerous much loved nieces and nephews, other extended family members and wonderful friends. Dave especially loved his four-legged companions, Marley and Diem. In addition to his mom, he was predeceased by his nephew, Joshua. The family will receive guests 4 – 7 PM Monday (April 8th) at the Aurora-McCarthy Funeral Home, 167 Old Hartford Road, Colchester. The Funeral Liturgy will be celebrated 10:30 AM Tuesday (April 9th) directly at St. Andrew Church, 128 Norwich Ave., Colchester. Burial will follow in the New St. Andrew Cemetery. Donations in Dave's honor and memory may be made to the CT Dog Gone Recovery Volunteers, c/o Dog Star Rescue, P.O. Box 721, Canton 06019.